For many of us, the thought of V.C. Andrews brings us back in time to the days when we would huddle under a blanket and read about the scandalous secrets of the Dollanganger family. With Flowers in the Attic and Petals on the Wind both now major Lifetime TV events, this first new addition to the Dollanganger story in nearly thirty years is a timely look at the events in the attic—from teenage Christopher’s point of view. To celebrate the publication of Christopher’s Diary: Secrets of Foxworth, we’re giving you the chance to win a V.C. Andrews prize pack, plus access to an excerpt from the book! Details on how to enter below! There are times now when I think back to what our lives were like in the mid-’50s and remember it all the way you might remember a dream. Often, with dreams that are so vivid, you’re not sure how much of it was fantasy and how much of it was real. There is so much of it that I want to be true, but I’m not the kind of person who is comfortable fooling himself. I’ve always had a lot to think about, so it’s not really so unusual for me to have decided to keep a diary. My thoughts are very important to me. This diary will be a way of keeping my history, our history, authentically. Nothing Momma has said, nothing Cathy has said, and nothing Daddy has said will be as easy to recall later on when I’m much older if I don’t remember to write down what was important as soon as I can. I didn’t do this right away. I kept telling myself diaries were something girls kept, not boys. Then I read about some famous diaries in literature and, of course, ships’ captains’ logs, all written by men, and I thought, this is silly. There’s nothing absolutely feminine about writing your thoughts down, about capturing your feelings. I just wouldn’t do something silly like write “Dear Diary.” I’d just write everything as it happened and be as accurate as I could. I bought this diary myself with my allowance, but I never told anyone I had, not even my father, who was interested in everything I did and thought. It seemed to me that the whole point of keeping a diary was keeping that secret until it was time to let others read it, if that was your purpose. And it would be no good if it was done cryptically so that people had to figure out what I meant here and what I meant there. That’s why I have to be as honest as I can about what I saw, what I heard, and especially what I felt. Like Otto Frank, I think it’s important that more people know what really happened to us before and afterward. Cathy used to call us flowers in the attic, withering away. It helped her to think of us that way. But we weren’t flowers. We were young, beautiful children who trusted that those who loved us would always protect us even better than we could protect ourselves. Besides, I can’t ever think of us in any symbolic way. We weren’t the creations of someone’s imagination. We were real flesh-and-blood children. We were locked away, not only by selfish greed but by cruel hearts that used the Bible like a club to pound out the love we carried in our innocent hearts. How that happened and what became of us is too important to just let it disappear in the dying memories of those who lived it. 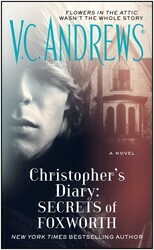 Did you know that Christopher’s Diary is also available as an audiobook? The audiobook edition of CHRISTOPHER’S DIARY is ready by Odyssey award-winning narrator Kirby Heyborne and the talented Rebekkah Ross. Check out an excerpt below and look for more V.C. 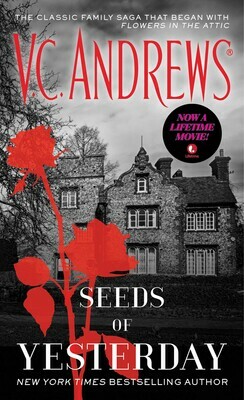 Andrews audiobooks available now including Seeds of Yesterday and If There Be Thorns. How old were you when you read your first V.C. Andrews novel? Tell us in a comment below to enter for your chance to win Christopher’s Diary: Secrets of Foxworth, the entire Dollanganger series, and DVDs of the Lifetime movies. Contest begins at 9:00 a.m. Tuesday, October 28th and ends at 9:00 a.m. on Tuesday, November 11th. Sorry, contest open to U.S. residents only. Please click here for complete contest rules. Jealousy, tragedy, survival, and revenge—the discovery of Christopher’s diary in the ruins of Foxworth Hall brings new secrets of the Dollanganger family to light and obsesses a new generation. Olivia dreamed of a sun-filled love, a happy life. Then she entered Foxworth Hall...V.C. Andrews' thrilling novel spins a tale of dreadful secrets and dark, forbidden passions -- of the time before Flowers in the Attic began. Let’s see. I think I was about 14 when I read Flowers in the Attic. I was hooked. I can remember patiently waiting for every new release to come out!! They were never fast enough! I was around 21, I think. One of my very first paranormal reads. I was hooked, and have never looked back. I am an avid ready and devour most anything. I remember looking in the young adult section and I was in middle school, so maybe I was around 14 when I was first hooked. I meant to say ‘reader’. Sorry! I was 13 and introduced to the series by my sister. I have been addicted ever since. I believe I was 13! Still anxiously await each and every new book!!! I have not read the book yet but my mother had been telling my about the story for years and it’s an amazing story. I believe I was about 18 or 19. I checked it out of the library and was hooked.. I believe I was in high school, so 15 or 16. I have not read the books yet but I have heard they are very good. I would love a chance to read them. I was 13-14 and absolutely loved them! I was a freshman in high school, so around 14 or 15. Made my mom by me the boxed set of the whole series. And also the Heaven series. I was fourteen, and I knew instantly I had found something very special. 30, have collected them all. 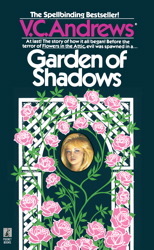 I think I was around 13 or 14 when I first read Garden of Shadows it’s been so long can’t really remember! I was 14 when I read Flowers in the Attic. I had just started working at the public library! Couldn’t put the books down once I started. I was 13…and have probably read it over 25 times. I was in high school when I first read this series. I think I was a Junior, so that would have been 1983 or 1984. I LOVED this series and wore out the books and had to eventually replace them. I saw the movies on Lifetime too. Now I want to hear it from Christopher’s side! I was young maybe 13. I think I was about 25 years old. 37. I was a late bloomer. I don’t remember, it’s been so long. Early teens maybe or even maybe during my preteen years. I’ve reread many of the books over the years. I was 15 when I read Flowers in the Attic. I’ve been addicted ever since. I even recently bought a book from the U.K. that wasn’t released here in the states. I was a late bloomer when I started reading these books. I was a mother of two and probably in my late 20’s or early 30’s but I was hooked from the first book and have since collected them all and am eagerly waiting for the next one. I joined a book club online just so I could get the books when they came out. V.C. is my all time favorite author. I’m so glad they got a ghost writer to continue on with her work. I think i was about 15 years old. I was 15. My friend introduced me to the series in our sophomore year. I devoured it. I was 21 and received the first 4 books for my birthday I lent them to a friend and never got them back but I remember I couldn’t put them down till i’d read them all . I’m too old now to remember, but I must have been in high school. I’ve read all of the books in the series and even seen the movie. Great stories! I was in my teens 14/15 and was hooked. I was in my 30’s. I read Heaven when I was 12 and couldn’t put it down. Then I read the whole Dollanganger series afterward. I was obsessed!!! I was a teenager, probably 14/15 when I read the first book. I was 12 when I read Flowers in the Attic and couldn’t wait to get my hands on every book she ever wrote. It is still one of my favorites to date. I’m so excited that there will be new ones to read. I actually read My Sweet Audrina first when I was thirteen years old. After that I devoured every one of the series I could get my hands on. My mother was oblivious to the material I was reading at the time, and only happy that I was finally reading something! Read the book when I was 12, over 28 years ago. Loved that series. I read the series in my 30’s , recommended by a friend. I was probably 12-13 when I first read Flowers in the Attic, read the others as soon as I knew it was a series. I think I must have been around 14 or 15. I could relate to some of the stories. I was a teenager probably thirteen or fourteen. These were the first of the “Naughtier” books that I remember reading. I LOVED them! They are pretty tame compared to books today from what I can remember. Thanks for the chance to win!! I was 15…..I love this series! I totally remember this! It was My Sweet Audrina… It was in 7th Grade OMG it was 1980…. Insane! I believe I was a reader of this great writer, in my 30’s. Love them! I can’t remember my exact age when I read Flowers in the Attic but I was in high school. I was totally shocked but remember thinking what a great book it was. I was 12 years old. My older sister started reading them and I would read them in secret because my mom thought they were too grown up for me. I loved her books ever since. I love the movies- all of them and always wanted to know Christopher’s thoughts from his point of view. Would definitely love to win this contest!! This may be hard to believe but I never read the series. I believe it was my mom that wouldn’t allow it along with our religion. Looks like I missed out. I don’t remember an exact age but I know it was early teens, around 13-14. I would love to win! I am 75 now so I cannot possibly remember when I started. All I know is I have read so many I keep a little note pad with all the books I have read. N ote pad is at least half full. I think I was around 14 years old when I read this series, I was given a book by a friends mother and then begged my mom the get the rest of them in the series. I read the first book when I was 19 and loved it but I have not read the rest of the books. Thanks for entering me in the contest, maybe I’ll get to finish the set. I was around 15 or 16when I first read Flowers in the Attic. I read Flowers in the Attic for the 1st time this year, then I watched the movie. I got hooked. I was probably 14 when I read Flowers in the Attic. Loved the series. I’ve never read the novel. I saw the Lifetime movie adaptation and it made me want to read the book. I was 14 and I loved the book and I went on to read all of the series. Now Im ready to read them again with this new book coming out. I was 14 and hooked. This series made me love to read! I think I was 16 teen and I was living with my stepfather at his house and sleeping in his up stairs room and found the book “Flowers in the Attic” in his attic room!!! And I loved it so much I went out to the store to find the next book “Petals on the Wind” and then it went on from there to the next book and on and on. I was probably 40 ! I was 16 when I first read Flowers in the Attic. My mother had the entire series, so I spent many days and nights with the Dollangangers! Believe it or not but I was 50. I really really want this book!! I have been waiting for it to finally release!! Please please let me win!! I was 15 when I read Flowers in the Attic. I’ve never read them, but my mom used to read them all the time. I think I was 14 when I Flowers in the Attic. I’m looking forward to this new book. I believe I was in my 20’s. I was in my early 20’s and all it took was the first book to become hooked! I was close to 20. Heaven was the first & I have collected all her books. About all I read. I was 22! I had always heard about it and wanted to read it but I never got the chance until I finally found it in the library of the new town I had just moved to. Absolutely loved it and I’m so excited to read the rest of the series and the new book! I think I was about 13 or 14 and have read pretty much every book! The Heaven Casteel series was my favorite! I was a stay at home Mom and got hooked on this series. Couldn’t believe what was happening in that attic. Can’t wait for the next chapter. I was approx. 17= , It seems a million years ago, but what a fantastic series. I would love to reread the books as well as the new ones! I didn’t read my first one until a couple of years ago when I was 40. I was a teenager when I first read Flowers in the Attic. I have read all of the series. 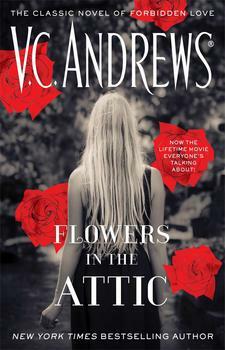 Flowers in the Attic…read it when I was in the eleventh grade. 15 years old. if my mom knew about this book, I’d have been dead. I adored the series and so many pieces of the Dollanganger story were just heartbreaking, which made them so compelling. I was in my 20’s when I read Flowers in the attic. I loved the series and still read her books today. I was 17 when I first read Flowers in the Attic. It was very intense, and I was a kind of scared to read the rest of them. But it turned out to be great. I’ve only read them once, but I would really like to read them again. I even got my older sister to see the movies and read them. I was in my mid twenties when I read the series. I remember that it really touched me. I would really like to re-read the complete set. I hope I win, but good luck to everyone. I was in my teens. Loved the stories. The movies have followed the books. I think I was about 12 ish when I first read Flower in the Attic. I love that book. I think I was probably 12 or 13. I was in the 7th grade. 13 yrs old. I was 15 and I read the first three books. That was 32 years ago, and I STILL have them in my possession!!! I haven’t yet, but I would love to try it! I think I was about 11 or 12. I was 27 and have read all of her books. I was about 12 and it was back in the early 80s. I LOVED these books!! 16 or 17. A friend’s mom gave me the Flowers in the Attic paperback for Christmas. I still have it over 25 years later. I haven’t read them yet because my mom lost my copy of the first book before I had a chance to read it. I really can not remember. It feels like forever. I don’t suppose this is going to count is it! I think I was about 20 or 21 when I first read it. I am 45 years old now. I was 16 when I first started reading them!!! I was 24 when I first read Flowers in the Attic and then read the others as soon as they came out. I was hooked! I think I was 13 or 14,. I loved those books! I was 30 years old, lent the book to a friend after reading it and never got it back. Flowers came out in ’79 so I was probably 9 when it was released in paperback. I was a young reader. I think I was around 28. My sister and I loved this series. Pretty sure I was around 13! I am 48 and I still haven’t read any of the books. Always seem to put it off to tomorrow. I started reading them when I was 14, couldn’t put them down. It have been years since I read the first book, Flowers in the Attic. I think I was in my 20s…but I’m not certain. However, I read the entire series and and other novels by the author. I was 22 when I read Flowers in the Attic. I was about 22 when I read Flowers in the Attic. My grandmother actually gave me the book. She was an avid reader too & she read all the books in the series that where published before she passed away. We both loved the series. I’ve also seen the Lifetime movies & would love to win. I was 14 when my grandmother first let me watch Flowers in the Attic. It left me with so many questions I had to read the book too see if I could find the answers. This probably would have been in ’99 so 15 years ago! My sister who was 16 at the time and I argued who would get to read it first. Since we only had one copy we decided to switched off reading it out load in the middle of the night when we were supposed to be asleep. I’m sure our parents knew but they let us have our little secret. At the time it was such an intriguing read for us since we were sheltered as teens. I have not had the pleasure of reading Flowers in the Attic but I have watched the movie and I believe I was about 8 or so then and I remember it completely freaked me out but also captured my imagination. I was about 13/14 when i read Flowers in The Attic and have been hooked every since! I started reading this series back in the 80’s . My high school classmate introduced me to this series. I was around 14 when I read my first book. I was a Freshman in high school, so 14. Flowers In The Attic and Dracula by Bram Stoker were the first 2 books I checked out of the school library. Dracula because it was teacher recommended and Flowers because I liked the cover. Boy, if I had known then what I know now……those 2 books are the reasons I fell in love with reading! I was 26 and completely fascinated. I started haunting the bookstore for the latest book and even got my Mother hooked and still is to this day. I first read “Flowers” when I was in high school. I was about 24 yrs old when I read it and was deployed to Korea on Team Spirit. I started enroute and was able to finish it by the time we landed back in Hawaii. I have not read these books yet but I wanted to after seeing the movie. They are all in my Amazon shopping cart! 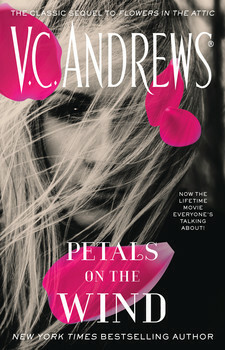 I read “Petals on the Wind” when I was 11 because that was the one in our house, one that my mom had read years earlier. I started reading Flowers in the attic when I was 17 years old and still read the series till this day. I am now 52 and have every single book I’ve ever read. I am hooked on collecting these. I would love to have this set in my collection! I was in high school, so I was probably 12 or 13. I learned about it from the girls in art class. That book was the only thing we ever agreed on! I was 12 when I first read Flowers in the Attic. I think I read Flowers In The Attic when I was 11. After that, I couldn’t get enough. I remember reading Floers in the Attic when I was in middle school, so 11-13? Omg my son is that age now and I’d die knowing he was reading books like this at his age lol. I’d read in class and his the book behind my textbooks. How things change when we become parents!!! I can’t wait to read this and the whole series back to back again!! I was about 19 when I found Flowers In The Attic. I loved it then and still love it now. I’ve read all the books she has written. Great work. I was in my 40’s when I first read “Flowers in the Attic”, and have read all of her books, in fact I have all of them. My daughter got me started. The first few books are hard covers and the rest are paperbacks. I’m hoping that someday they will be worth a lot of money. I sure would like to win to complete my collection. I was a teenager, not sure exactly. I remember waiting anxiously for the new book in the series to come out!! Love them!! I was in high school maybe 16. I read everything she wrote. After she passed away, I didn’t keep up. But I am excited to read this. I first read the Dollanganger series when I was about 15 1/2. I discovered them quite by accident after visiting the library in my town during the summer and reading the Casteel series the year before. When I started reading the books, I was about 22. I think I started reading them in high school. I loved these books. I couldn’t wait till the next one came out. I was 13 or 14 years old and in the 7th grade when I read Flowers in the Attic. In fact, I borrowed it from a friend. I had to make a paper bag book cover to keep my public school from confiscating it. I was only about 9 or 10, and I suppose my mom forgot about the details when she said I could read her books. I devoured them, along with the Heaven and Dawn series, and got a bunch of schoolmates onto them too! Totally innapropriate haha! I was in junior high. All my friends were talking about it. I think I was 13 when I started reading the series! I remember reading it non stop, I couldn’t put the book down. I started the Flowers in the Attic series when I was 11. A little mature subject matter but I always was reading beyond my years. I was thrilled that the Lifetime movie was so well done and followed the story more closely than the theatrical release of many years ago. At age 16 I read “FLOWERS in the ATTIC. I know I was very young, probably 12 or so (maybe younger). I was 15 when I first read Flowers in the Attic and I was hooked! I was around 14 when I first read the Flowers in the Attic . About 20 something when I read the first book! I was in my 20s and stumble upon them by chance! Loved them! I just recently read my first one and I just turned 52 so I guess I got a really late start. I am hooked and have already ordered several more so I now have two complete sets and intend to get the rest soon. I think I was around 12. All I did was read. I’m pretty sure that I scammed it from my mom. Been reading them ever since. I think I was in my 20’s or 30’s, since I am now 60 it is so hard to remember. I know that I devoured the entire series!! I haven’t read one yet, but I’d love to discover them! I have been considering rereading the series. My love of reading started when I was in grade school. I read every book in our school library and was searching for something new to read when my mom bought it. I borrowed Flowers in the Attic from her. I was hooked. I think I was about 14…..I loved the movie! I have not read the series yet, but I have heard so much about them that I have thought about starting them to see for myself haw good they are since I not heard one bad comment about them. I was 22 when I read the first book. I was hooked! I was about 20 when I first read Flowers in the Attic. I remember that I couldn’t put it down. I think I was 13! I was 14, just turning 15, when I was drawn into the attic. I was 13 or 14 (in middle school) and a friend of mine gave me her copy to read. LOVE!!!! THE PURPOSE OF TIMING NEAT!!!! I just recently read the whole series over the summer. They were wonderful, I finished them within a couple weeks…. I haven’t read an Attic book yet, but I have Flowers in the Attic, which I bought in the mid-1980s and didn’t get around to reading yet. I also DVRed the movie version, but I didn’t get a chance to watch it yet (I want to read the book first). I guess I have to bump that book up on my to-be-read list. I was about 13 years old when I first read Flowers in the Attic. It was the mid-80’s. Back then we had to hide the books from our mothers! I think I was around 12 or 13 when I first read the first book. I liked it but never bothered to read the others. I have seen both movies though. I would have been in my early 20’s. My grandma gave the the series when I was in junior high school. So probably 14 years old? That was way back in 1984. And I’ve been hooked ever since! I believe I was in my early twenties when I read Flowers in the Attic. A fantastic read!! Ageless. I was around 17 and a senior in high school. Everyone was reading Flowers in the Attic. I still have the book! I think I was probably 17 or 18. I dont really remember. I was around 15. It is still one of my favorites. I was about 13 or 14 when I first started reading her books. Absolutely loved them! I read the first book when I was 14. The thing I hated was that it seemed to take forever for the next book to come out. I enjoyed these series and will be interested to see Christopher’s perspective on Foxworth. I was about 12 when I plucked My Sweet Audrina off the bookshelf in our dining room and snuck it out of the house to read while walking to school! Apparently I really missed out in my teens. This will be my first at age 50! I may have been around 12 or 13 and then read every series that followed. 12 when I first read Flowers in the Attic and I absolutely adored it! I was 12 when I began reading her books and have been hooked ever since. I am now 48. I hate to say it but I was about 27 when I finally read the series. I remember my friend reading it when we were in our early teens but I knew my Mom wouldn’t approve. I always begged her to tell me all about it. I have such fond memories of us staying up late & her describing it to me. Really great times. The books definitely lived up to her wonderful descriptions. I was seventeen when I first read it. I have read the series several times since then. was permitted to read it. I was hooked on the series from that point. Great writing and story content. I was probably in my 30’s. I know I was working at Yale New Haven Hospital at that time. I will never forget “Flowers in the Attic” for as long as I live. The book was passed around to almost everyone in my department. If it was passed, other people bought their own book. It was the talk to the hospital and in my family. Flowers is still the talk in my family. An unforgettable book, now my daughters enjoy reading the series and watching it on the television. Now, they are in their 30’s. I read it when I was 20. Bought almost as soon as it came out. I was about 16 when I read Flowers in the Attic. I was 12 years old and in 6th grade the first time I read Flowers in the Attic. We passed it around lol!! I was an adult when I read Flowers in the Attic. Really creepy. I think I was about 14 when I first read Flowers in the Attic for the first time. I was about 14, I think. 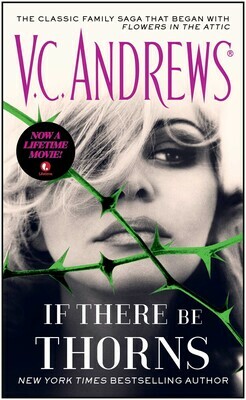 I read “Flowers in the Attic” when I was fifteen and each book thereafter but have never seen the movies.